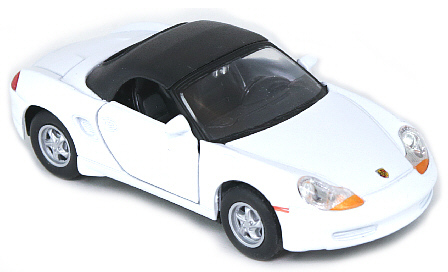 Attractive, 1:34 scale model of the classic Porsche Boxster convertible sports car, with opening doors, moving wheels and pull-back action. 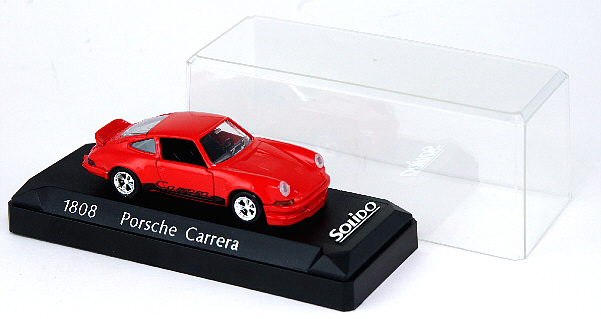 Attractive, 1:43 scale model of the classic Porsche 911 Carrera sports car, on its own plinth + transparent presentation case. It includes opening doors, steering wheel and moving wheels.